Two years ago I participated in a Cornerstone Theater production of, Seed, A weird Act of Faith”, Written by Sigrid Gilmer. 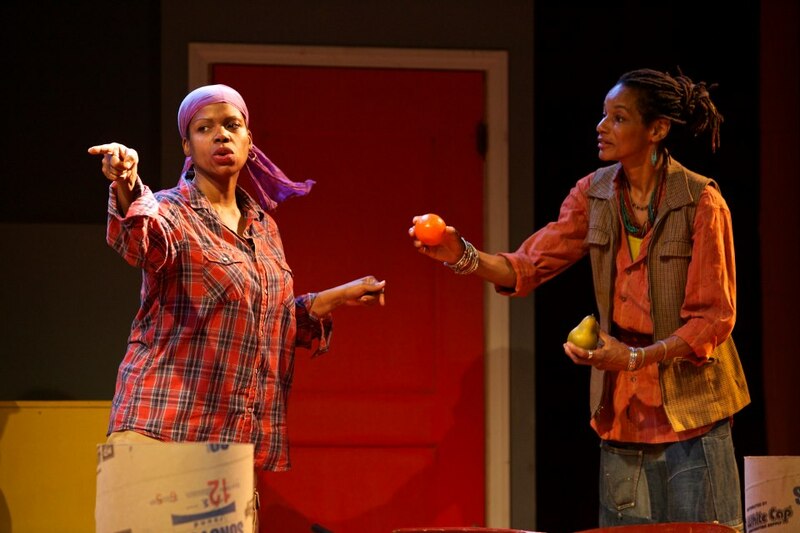 In this play I learned many things, one of which was the term,FOOD DESERT. I hadn’t realized that I actually lived in one. It then dawned on me that the availability of healthy food options were as scarce today as they were 60 plus years ago growing up in the same area and that very little if anything was being done about it.There were policy discussions and complaints from folks about the unwillingness for stores like Trader Joe’s and Whole Foods to build in our community, but nothing else was being addressed unless one considers another chicken or burger joint cause celeb. I had a truck, three hundred bucks and a crazy idea that I COULD and WOULD DO! something. Standing on the corner of 28th and St. Andrews, I gave away produce for the entire afternoon. The next weekend folks returned with their wallets and re-usable bags. Armed with a small team of DOERS! (You know who you are), Daily Organics was born. YOU supported this crazy idea appreciating that you could walk to the end of your block and purchase organic produce! YOU voted with your dollars! YOU have continued to support Daily Organics(2 years)and have spread the word. YOU raised funds for another truck when Rusty was stolen so that I can continue to serve you. YOU have shared your laughter, stories, hugs, coffee on cold mornings and your love. Without YOU and my crazy idea, it would be just another day in the neighborhood, but because of YOU, it’s a BEAUTIFUL day in the neighborhood, and a healthier one in so many ways! YOU are DOERS! Thank you from the bottom of my heart for your belief in me and what I’m DOING! We’re growing and couldn’t have done it without YOU! Onward and Upward!! Doin it for ourselves 2 years and counting!